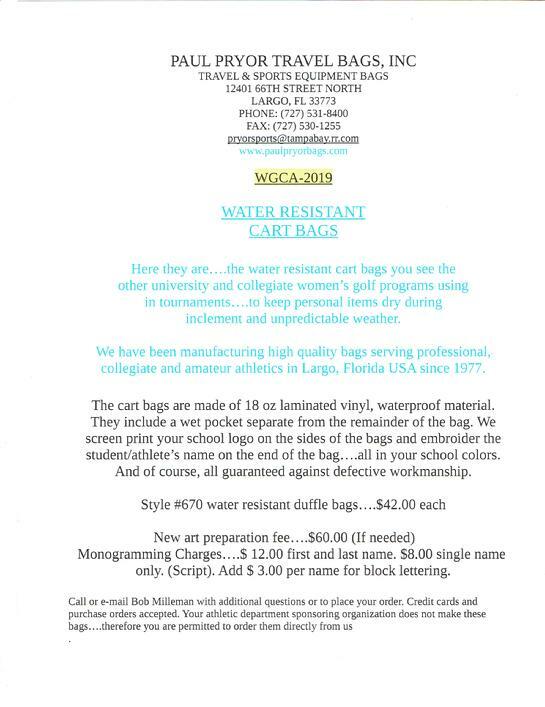 BELOW IS OUR WOMEN'S WATER RESISTANT GOLF CART BAG. IT HAS A SEPARATE "WET" POCKET INSIDE ON ONE END. INCLUDES A SHOULDER STRAP FOR EASY CARRYING. IT IS AVAILABLE IN TWO SIZES. 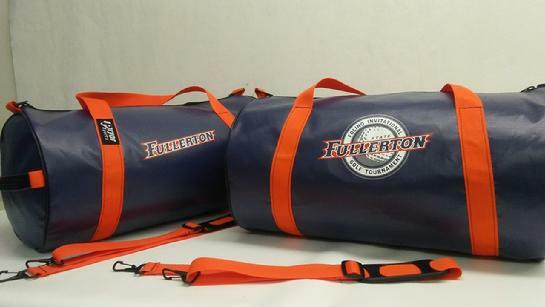 IF YOU WOULD LIKE TO PERSONALIZE YOUR ITEM(S), WE HAVE MONOGRAMMING AVAILABLE. SCRIPT LETTERING IS $9.00 FOR INITALS OR A SINGLE NAME, $15.00 FOR A FULL NAME, FOR BLOCK LETTERING, ADD $2.00 PER NAME.